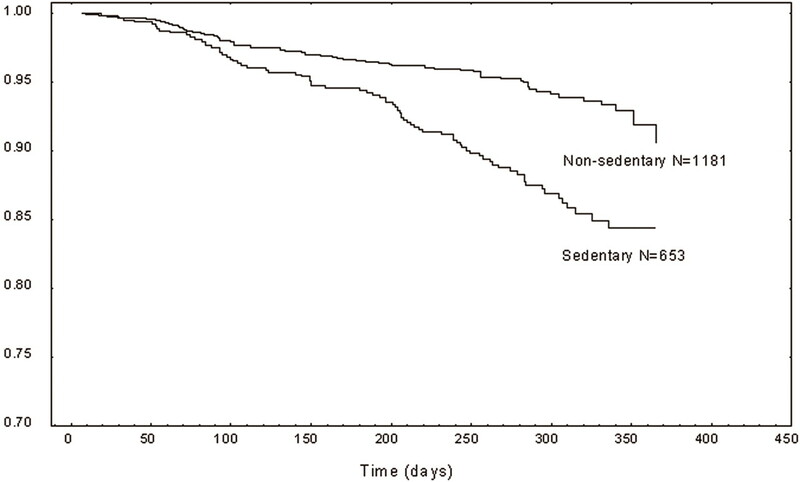 Survival among sedentary and nonsedentary incident dialysis patients. 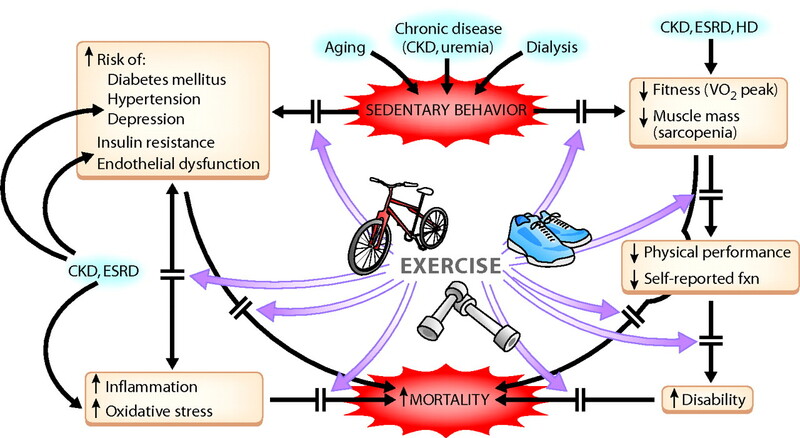 Diagram of potential adverse effects of sedentary behavior and chronic kidney disease and potential beneficial effects of exercise interventions. Change in peak oxygen consumption (VO2peak) in response to aerobic exercise training programs. Each bar represents a distinct study. The numbers to the right of the bars represent the number of exercising patients available for analysis. 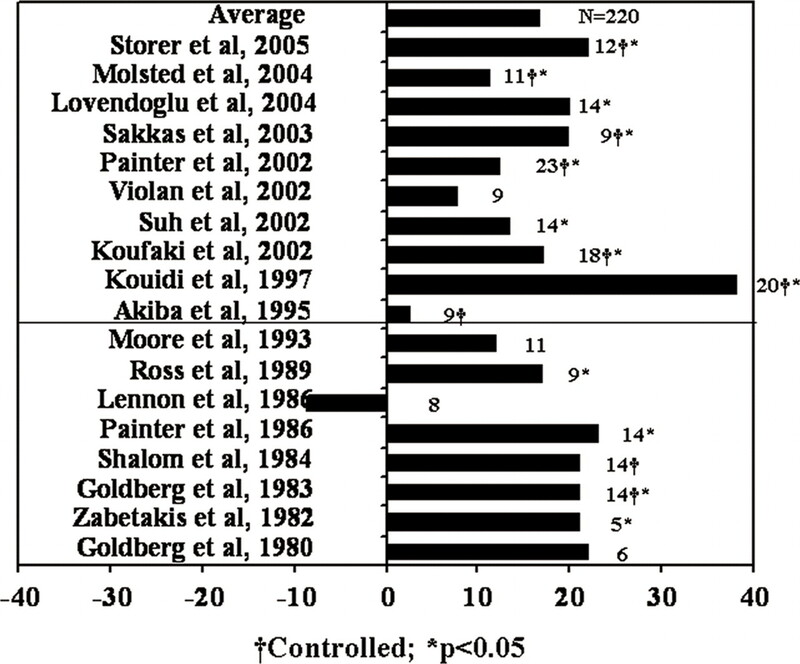 *Change in VO2peak was statistically significant; †the study included a nonexercising control group. Studies above the black line included patients who received erythropoietin.